This year's nominees provide a welcome contrast to the bigger contenders. While most movies in the Oscar race generate attention for months, the short film contenders generally don’t receive much notice until they’re nominated. However, the live-action shorts often deserve as much attention as the higher-profile contenders, in part because they’re so different from the rest of the pack. The 2019 nominees are a perfect example: The five contenders hail from four countries, and tackle a range of heavy subject matters, from racism to repressed sexuality. Collectively, they speak to the clash of innocence with troubled times, as the majority of the shorts deal with children in dark situations. And while the Best Director category is loaded with veterans ranging from Spike Lee to Alfonso Cuarón, the filmmakers nominated in the Short Film (Live Action) category are largely newcomers from around the world (and one of them is even a woman, a sore oversight in the all-male Best Director category). Many of the winners in this category often go on to craft memorable features, from Andrea Arnold to Martin McDonagh. The diversity of style and subject matter in this year’s category, which range from solid to masterful, suggests a lot of potential around the corner. Here’s a ranking of the category with some speculation on the frontrunners. The 1993 Liverpool murder of two-year-old James Bulger by a pair of 10-year-old boys was one of the most shocking crimes in modern British history. 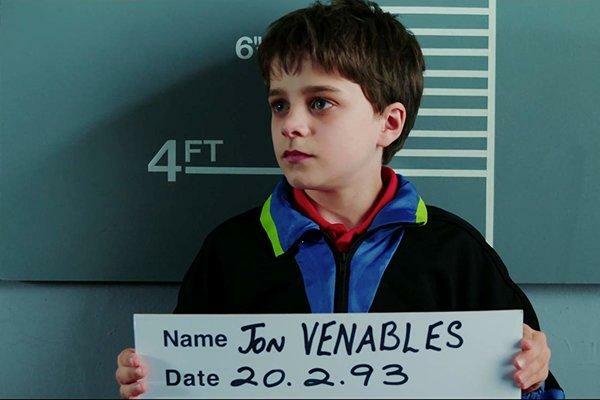 Irish director Vincent Lambe’s grim look at the investigation unfolds as a rather peculiar pair of conversations, as future child convicts Robert Thompson (Leon Hughes) and Jon Venebles (Ely Solan) engage in tense interrogation sessions with police officers attempting to find inconsistencies in their accounts. While the boys eventually cave, the showdowns unfold through a series of rebuttals, tears, and tantrums, as one might expect from a pair of adolescents in trouble. While the movie draws from real-life transcripts, the dreary circumstances take on a ponderous quality that stymies the underlying mystery of their motives. Nevertheless, Lambe coaches credible performances from his young leads, who convey the sheer horror of answering for their actions even as they lack the words to clarify their duress. The movie has faced a controversial reception in the U.K., where Bulger’s parents have complained about being left out of the process. For anyone unfamiliar with these harrowing circumstances, “Detainment” presents an absorbing starting point for the sheer oddity of child murderers facing comeuppance for their actions, but its abrupt ending — which finally leaves the interrogation room to visit the scene of the crime — wraps things up at the start of the most fascinating chapter: The tortured lives that both convicted felons have endured in the years since. If nothing else, the short provides a good excuse for further reading. Spanish director Rodrigo Sorogoyen’s Goya-winning short is pure slow-burn suspense: Bookended by the eerie calm of an empty beach, the minimalist thriller finds a single mother (Marta Nieto) receiving a call from her six-year-old son while he’s vacationing with her ex-husband in France. The innocuous checkup takes a queasy turn when she learns from her son that his father has vanished, leaving the boy to wander an empty, unrecognizable terrain he can barely describe while his mother melts into a panicky mess. Much like last year’s Danish Oscar submission “The Guilty,” this fast-paced short embraces the ambiguous narrative possibilities of a single actor engaged with an unseen voice at the other end of the line. 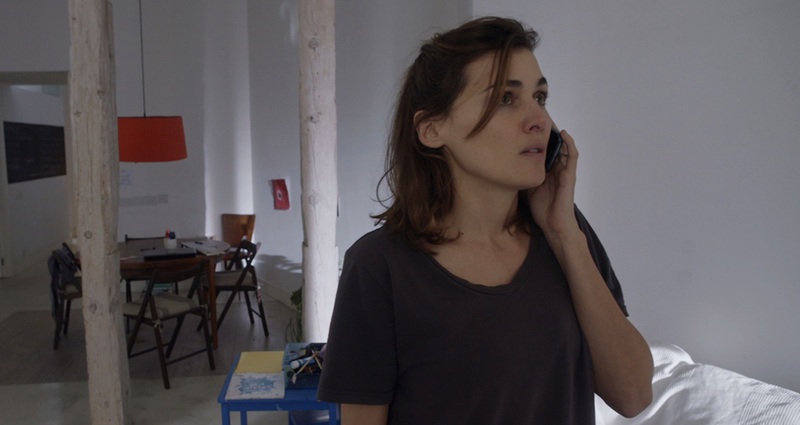 Nieto’s frantic performance is the centerpiece of this unnerving genre exercise, as she zips around a small home with a phone glued to her ear. While Sorogoyen’s Steadicam chases the woman through the claustrophobic terrain, “Madre” never really develops beyond the jittery gimmick of its premise, but it’s a taut and mysterious first chapter in a story that begs for another installment. Israeli director Guy Nattiv’s U.S.-based short — which already became a feature starring Vera Farmiga and Jamie Bell that premiered last fall — is the most timely of this year’s nominees (which suggests it has a good shot at winning the top prize). The harrowing look at a family of skinheads spends its first 10 minutes putting the audiences at the center of their world. Jonathan Tucker stars as a tattooed bigot who nevertheless shows ample affection for his young son (Jackson Robert Scott); the rest of the family includes “Patti Cakes” breakout Danielle Macdonald. From a boisterous outdoor shooting exercise, the group heads to the grocery store, where the child locks eyes with a friendly African American man. That simple exchange leads to a horrific act of racism in a fiction film since “American History X,” and sets the stage for the short’s unnerving second half, which transforms into a creepy revenge saga. The specifics of the vengeance in question involve a bizarre physical transformation just a few shades shy of absurd, but Nattiv’s atmospheric filmmaking plays it straight, right up to the shocking final confrontation. As America contends with the latest surge of racism in the headlines, “Skin” delivers an intriguing snapshot of the way such systematic hatred can trickle down to new generations, and concludes with the bloody suggestion that there’s no easy solution to the mayhem. The only film in this category directed by a woman is a tender acting showcase for two of them. 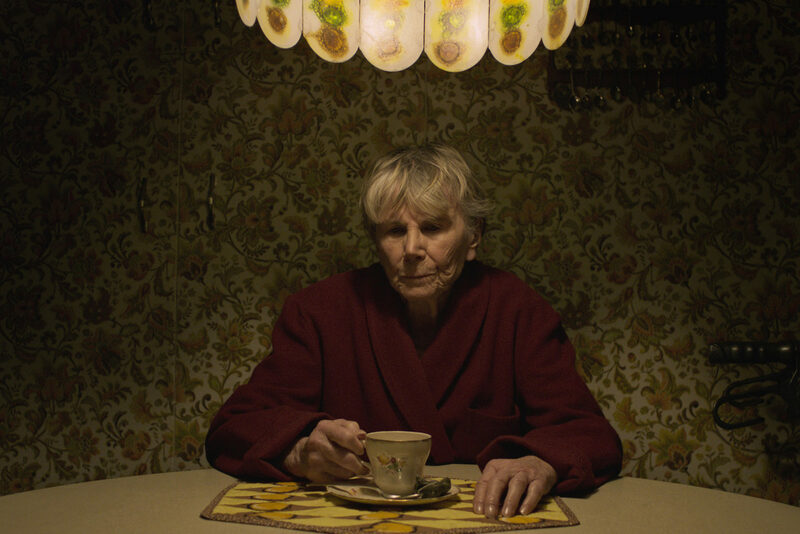 French-Canadian director Marianne Farley’s acclaimed film — which has gathered steam on the festival circuit over the past year — stars Béatrice Picard as the eponymous elderly woman who contemplates a hidden past while bonding with her nurse (Sandrine Bisson), whose current relationship status eventually goads Marguerite into revisiting a long-dormant chapter from her young adulthood. This gentle, understated two-hander drops hints as to Marguerite’s bittersweet memories as she looks at old photographs and sits quietly in her warmly-lit room, revisiting the past. The movie’s visual elegance exudes profound implications about the pain of repressed memories that refuse to die, but it achieves the apotheosis of its appeal in the final moments, when Marguerite delivers an honest monologue that finally allows her to confront the romance that she has hidden for so long. Picard’s wizened face and sorrowful eyes present a masterclass in the art of saying much without saying anything at all, and while the movie only hits one note for the duration of its running time, it’s a poignant one that requires no further elaboration, and holds attention with such meticulous detail that it might just cast the sort of spell Oscar voters can’t shake. Jeremy Comte’s Sundance winning short is similar to many of the others in this year’s live-action category: It’s another minimalist tale of kids drawn into a bleak situation beyond their control. But if that’s a recurring trope, “Fauve” is a paragon of the form: The 16-minute narrative finds Tyler (Félix Grenier) and Benjamin (Alexandre Perrault) discovering a giant surface mine so devoid of human presence it may as well be the surface of the moon. As the pair mess around and stumble onto a sea of wet concrete, their antics suddenly transform into a terrifying life-or-death situation that yields some of the most suspenseful visual storytelling in recent cinema. Comte uses the powers of the medium with thrilling precision: As the playtime becomes a desperate rescue mission, the grey landscape goes from empty backdrop to yawning monstrosity as it threatens to devour both children whole. The dizzying epilogue pitches the entire drama into unclassifiable emotional terrain, ending on a teary-eyed reaction shot that suggests a new kind of coming-of-age scenario: Adulthood, in all its intimidating mysteries and unresolvable challenges, rears its awe-inspiring head. “Fauve” is the kind of short film that makes a perfect case for the potential behind the camera. Comte’s mesmerizing storytelling never wastes a frame, as it careens into unexpected terrain from its opening minutes all the way through its poetic finale. If Oscars voters are really paying attention, they’ll recognize that “Fauve” deserves to go all the way.